Purple Soup Team Building’s cocktail master class will reward your team members as they shake, muddle and blend some delicious cocktails under the guidance of our own mixologist. 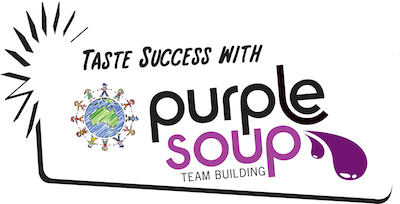 Using a combination of premium spirits and fresh ingredients, Purple Soup Team Building’s Shaken Not Stirred Challenge is suitable for novices and connoisseurs alike. At the end of the session, everyone will get to drink their own creations. Our package includes alcohol, garnishes, fruit, and premium ingredients, glassware and equipment, and Purple Soup Team Building can also arrange dinner for your team, as well as transportation to and from your workplace. Suitable for absolute beginners, this event can be as fast-paced or as laid back as you like! Either way, it’s a fun-filled event where everyone will get their groove on. Why choose Purple Soup’s Shaken Not Stirred Cocktail Master Class?